The most commonly used tool in an audio engineer's toolkit is the venerable equalizer (EQ). Over the years, EQs have become a powerful creative tool and the most fundamental mixing and mastering device every engineer has at their disposal. 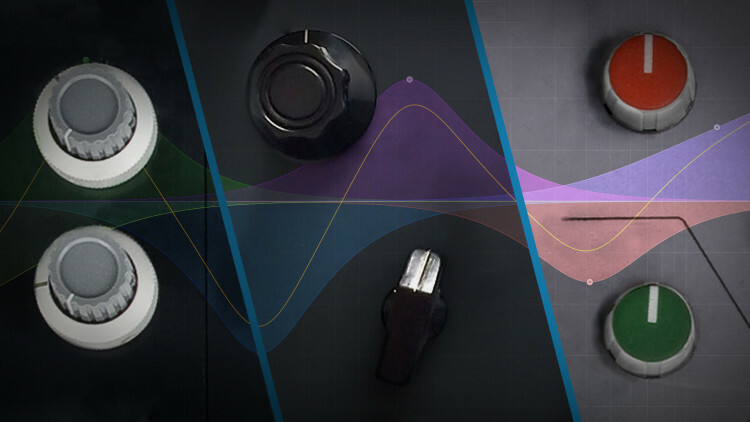 In part 1 of the series, The Study of EQ Controls, Grammy winner Fab Dupont teaches you what each knob's function does, and in this tutorial, he dives even deeper to teach how and when to skillfully apply any type of EQ. Learn tricks and techniques that will help form or refine the foundation of how you approach EQing your mixes and masters. By mastering these fundamental skills and techniques, you can keep your focus on the music, not the settings. 17:41 - Why Do They Sound Different ? 36:49 - What Do You Really Need ? 49:22 - Raw Track Equalization - What To Do ? 1:01:05 - How Tall Is The Track ? 1:04:47 - EQ Before Or After Compression ? Good morning children! Today, we are going to talk about EQ strategy because, if you are making music today, and you're not Al Schmitt (look him up) you're gonna need to know how to use an EQ and have a strategy. Here we go. Compared to 10, 15, 20 years ago 30 years ago? 40 years ago? We are using more and more EQ Why is that? Well, it's because the sound we expect from our records is changing. It's very important for you to go back and listen to old records and see how the instruments are represented in the recording. Today, when you listen to a bass drum in a modern recording it goes "BOOM". If you listen to an old jazz band record it goes "puk-puk" It's way in the back. Today is way in the front. If you go and listen to a real bass drum in a real environment it sounds nothing like the recordings we're used to especially in pop music. The way we make those bass drums sound supernatural, frankly insane (but beautiful) is by using a lot of EQ and a lot of compression but this is a video about EQ, so we're gonna talk about EQ. Consequently we use more EQ because the sound we are expecting to come out of the speakers from the culture of listening to other's people music is EQ driven. And that happened over time. One of the reasons why things changed is the way things were miked. Back in the day, pre-Beatles, everything was miked far away from people in lab coats. Then the Beatles came around and they said: "Hey we can do whatever we want" because they were the biggest band in the world and sold more records than any other band so, nobody could tell them not to do what they wanted to do. So, they took the microphones and put them closer. They found that more exciting and probably closer to what they heard when they were near the instrument than what they had on the records. So, you can go back and listen to "Love me do" and see how that sounds. And then, go listen to "Let it be" and see how that sounds. Or maybe "Let it be" is a bad example. How about anything from "Abbey Road" That's a better example. Those are two different sounds. Same band completely different miking. But the end result is this: when you put a microphone so close to an instrument (bass drum, snare drum, vocal, guitar, whatever) you're gonna create problems. You're gonna have to compensate for those problems. Also, the density of records has increased drastically. Density, dense. As in dense with an E not with an A. Meaning there's more and more instruments. More and more layers. And so, everything has to fit into two channels of stereo. And that's hard. Especially when you have one, maybe two bass drums, a bass, a synth bass, a really fat guitar. How does everybody live down there? It used to be that your record was at a pride: bass a guitar and a vocal. There's no EQ needed there. If you mic it properly it's just gonna fit, because it fits in the room. If you have a string orchestra electronic drums, real drums, bass, you're gonna have problems to put everything in the same box. You're gonna tend to use EQ to do that. The combination of close miking. Evolving expectations as far a the final sound of you record. And denser and denser arrangements means that you're gonna have to learn how to use EQs. Let's talk about the past. It's always very interesting to learn from the past. Back in the day, I'm talking 50's, 60's, 70's, up until the SSL console happened you didn't have that much choice of EQ. Very early on, if your console had EQ, which was not a guarantee maybe you had two bands A high-shelf and a low-shelf, at 10k and 60 maybe, or 10k and 100. And those were frequencies that the designers of the console said: "Hey, this is useful!" But maybe he'd never made a record in his life. Maybe he was just an electrical engineer. But that's what he picked because that's what he could do or that's what the client asked for. That's a long way from what we have today but that's what it was. And then as taste and expectations, as mentioned before, evolved then, producers and engineers needed more stuff so the designers added more stuff. And then, over time, more and more stuff came on. You could buy an outboard EQ like the Pultec. It gave you two bands. 20, 30, 60, 100 and then on the high-end there was, like 1k, 2k, 3k, 4k, 5k, 10k something like that. And you could boost and cut some of the same frequencies. And then, as technology evolved and people became smarter about it, more and more features came together Then some smarty-pants named George Massenburg invented the parametric EQ and that made a big difference So, what I propose we do is take a quick look at a couple of this boxes from the past so you understand and really get the feeling of what it was before versus what it is now. So, this is a 1974 Neve. This are fixed frequencies EQs and this is all they had in a studio at the time. So, a lot of the studios would have, if they could afford it, an external rack. They would have a couple Pultecs and maybe they would have later in times a GML EQ. And they would patch those in for special cases. Because they sounded a certain way. Alright, let's listen to this stuff. So, I have here a venerable Pultec EQH2 Equally venerable past EQ, which is really a 31102 components pulled out of the console, put into a rack and not as venerable SSL 4000EQ style also in a rack. Because it would've been very difficult to fit both an SSL and the Neve in the frame right now. It just so happens that these old boxes have a sound of their own despite the EQ and I venture to say and you could cut my head off if you disagree that a lot of the differences between the EQs that everybody reveres as the standards are actually due to the topology rather than the EQ circuitry. But, the proof it is in the pudding Consequently, let's listen to my bass drum with nothing on it. Now, the way I have this setup is if you look at my mixer here, I have an insert. When it's off, you're listen to all digital. When it's on you're listening to EQH2. Right now the EQH2 is all settings down to zero. So, this is again without anything. Listen to the very bottom, the resonance, the "mmh" thing. Now, don't expect an EQ sound don't expect a lot of difference but it's quite marked. The morphology of the kick drum changes. Listen to the attack, how bright it is. And listen to the ampleness or the width of the bottom. How bouncy it is or not. You may notice that without the EQH2 you have a more untouched sound a more natural sound. And with the EQH2 you have a little more of somebody-went-through-this kind of sound. Feels a little bit compressy kind of thing, right? So, that's no EQ. Just saying. And then you can add EQ. So, your options are 20, 30, 60 and 100. And you have 1,2,3,4,5 up to 10. That's it. So, let's listen to 100. If you didn't hear that something is very wrong with your system. Let's go down to 60. Not the most subtle processing in the history of processing. But it's nice. It goes "boom", right? I like 20. 30 starts to have a mask. 60. Even if I lower the amount. It's not working. Let's try 60 again. Still brings a little too much of the bottom. It creates a mess. 30. 20 is the most useful thing for me right now. So, that's what this EQ makes me wanna do. Of course you can cut too. Unless your trying to emasculate something. But, with the boost and the cut at the same time you can carve out a little bit of the extra fat. And so consequently you can probably go higher. So in this case we could do this. Or what we had before. I think I like the more natural one better. But that's the legendary trick between having the boost and the cut at the same time. It wakes fun things up here but still I like this better. Of course you have high-end but we did it with the bass drum so, let's focus on the bottom. Now, let's move onto the Neve. The Neve is the next level of available technology. On this box, since it's younger, (still pretty old but younger) they were able to do more. And so you get, here you have a hi-pass filter and a low-pass filter. and then, you have 33, 56, 100, 180, 330 on this low band and then 220, 270, 330, 390, 470, 560, 680, 820, 1000, 1200 on this band. And then 1.5, 1.8, etc. So you have a lot more choice. Also, you could choose functions. So for example, this band, the bottom band it can be either a shelf or it can be a peak EQ. Starting to be more useful. You can't change your Q, though. And then this shelf here actually has a Q change. If you hit this, your high Qs, you get a narrow Q. This band peak only, no shelf. And this band up here, is a peak and has a high Q choice and the last band here is the shelving, just like this guy, but you can choose to make it a peak if you want to. Frequencies are 3.3, 4.7, 6.8, 10 and 15. So that's quite a bit of flexibility. 4 bands, high pass and low pass. So we're gonna focus on just the bottom band and turn it on, and listen to it. So, this is off and then you choose your frequency. Here we like 20. So let's see what 30 does on this guy. And I left the setting here so we can switch back to it and compare. So, of course the setting here is 4. I have options 1, 2, 3, 4, 5, 6, 7, 8, 9, 10. And here I have whatever, whatever whatever, whatever or whatever makes your whatever decision at any time. I'm gonna just do it by ear so let's see what this sounds like. Noticed how different it sounds, check it out. We can hear the Neve is much fatter. But why? Well, maybe if I go up to 30 here, because this is 33, they are gonna be closer. Let's see. Already they are a lot closer than they were a second ago. So, does this sound radically different from this at this point? As a reminder, Pultec. Interestingly enough, because of the different curves and energy, the Pultec brings a lot more level for about the same amount of fat. Where this brings a lot of fat but it's more tamed. So it's a leaner sounding EQ. There's no tubes in this one but you have more options. We can go up to 56. Noticed how it gets heavier and heavier. Now, the differences between 33 and 56 seems to be, to be less smart than the difference between 20 and 30 here. It can get really confusing really fast. But the idea here is that if you wanna hit 100 with just a narrower Q you can. So, depending on your program material there are some things are gonna benefit from the more brutal approach here and some things are gonna benefit more from the metrosexual approach of this guy. So, now we have a difference between this two guys. What about the SSL? Good question. Thank you for asking. I'm gonna turn this guy off and turn the SSL EQ on. In addition to the wonderful noises, the SSL also brought fully parametric EQs. Meaning, you could actually sweep and you could change the Q of the EQ on two of the bands and then you have two regular shelvings on the top and the bottom, a high-pass filter right here. All that is very useful and was very useful at the time because that's when production started to switch to super-layered very multi-track records were they needed to carve more stuff out. Alright. They all sound different. Does one sound better than the other? (Whistles) No. They sound different. But some people would like to just turn the thing on crank a little 33 and they have a very very fat bass drum. Some people would like to have more of a controlled sound and will use the SSL. Some people would just like to be super lazy and just have one choice, click it up and that's what they get. And some people have to like this because they have an SSL console and they're stuck with it. And some people like this because they have a Neve console and they're stuck with it. And some people like this not because of the console, there was no Pultec console, just because they like this and because they are told it's the best. Seriously now, older hardware has a signature sound that is due to their topology and how they decide to EQ. This is an inductor EQ. And so, they're gonna get different results. So, two dBs at 10k here. and 2dB's at 10k here is gonna sound slightly different. You have to learn the sound, you have to decide what you like. Can you not make a record because you don't have this guy? As you can see you can get where you need to be. and it's not gonna change the course of modern music. One interesting thing to do is to compare the hardware with the software. Ain't it? Yes it is. So, I'm gonna turn this on. Turn this guy off. And say we have 4.5 at 20. This is the sound of it. And then I can pick some venerable Pultec imitation. Of course since my Pultec was never modeled it's not gonna sound the same. But is it gonna be in the same vibe is the question. Hi, gorgeous! Alright we're gonna say 20 4 and change, ok? Hardware. Noticed the difference? The plug-in's actually fatter. Check it out. Maybe if I put less. Because maybe the scales are different between this Pultec and that Pultec hardware. One more time, this is the software. Enough said, they are different. This one is different from this one, which is different from this one, which is different from this one. In the end one of the biggest differences between hardware emulation EQ and a purely digital EQ (they're both digital but you know what I mean), beside the topology the emulation of the transformers and all that stuff, is that most hardware emulation EQs will have fixed frequencies and a digital EQ will let you go wild. So which one you'd choose? Well if you feel very secure about where you're at use the digital one, it let's you do more. If you need a little bit of that shine Then you could use the hardware emulation one. If you're gonna use a digital one here's what I propose you do. If it's a really wide open digital one like this one, where you can do whatever you want, use it a little bit like this one at the beginning. Where the bands overlap but they don't go all the way. So it kind of forces you to keep things in the same range. So you're not gonna go take this band and go all the way down here. Whereas here you can do that. You could take this band and go all the way down here. And that is hell on earth. Because the control for this band is all the way over here, which is very counter-intuitive. So if you find yourself in this position and you're gonna use this EQ restrict yourself. Unless you're stuck and nobody's watching. If nobody is watching do whatever you want. But if you're watching use the bands in the order that God designed them to be in which will allow you to keep your mind focus on one thing the audio. Not chasing what color is what and square goes where. That will go a long way with a digital EQ that's free like this or the FabFilter or any of the new styled EQs. It will help you focus on the music. Since as we've seen a lot of this stuff can sound very close by tweaking a little bit, you're basically taking advantage on hardware emulation EQs of what the designer thought was cool. Right? Is like playing violin. You don't have a pre-made note. Is kind of the same difference if you know what I mean. Since the frequencies are already picked for you and you use a lot of the same EQ, say for example of background vocals you're gonna use 24 of these if you have the DSP. And you boost 10k on all 24 of them you'll find that there will be some bond-shop going on and you're gonna have some resonance problems there's gonna be too much energy in the same spot. So, sometimes it's cool to actually use different EQs to be able to have slightly different points. So, you would use half of the background vocals maybe the high background vocals with one EQ and the low background vocals with another EQ. Or you would use pairs of background vocals with one EQ and another pair with another EQ so you can boost slightly different frequencies and not get all the energy pointing on the same spot. That is a very useful trick sometimes. If you find yourself spending a lot more time looking at the curve here and looking at the settings down here. and then finding that you don't like what you've done in the morning, start using this guy. This guy is only ears. Because I guarantee you that this is not 3dB's at 5k. So, use the stuff that forces you to listen. The simpler the EQ the better. Only move onto the bigger EQs when you have better control and you're not doing it just because. Another thing that's interesting to do when you have an EQ setting like this for example. Doing this is one thing but is this thing here really necessary? And if you don't hear it in the sauce get rid of it. Because if you don't hear it in the sauce the system still has to deal with it and it still does something. And if it's not necessary don't do it. If you can't hear it, it's not worth it. You noticed, but I have to show you because if I don't show you the you will complain that I didn't show you. This is how you're supposed to look for a frequency that's bothering you. You take your frequency you boost it you could, probably narrow the Q a little bit, and then you look for it and then you remove it. By the way this EQ has an invert button which is kind of cool. So you can go here and then you hit invert. Boom. For the very lazy people amongst us. However, there's a few pointers for this fantastic venerable technique. I don't really like it because if you do that most of the times you're fooling yourself It's better to use your mental picture. I'll show that in a second. So, but the peak and cut technique if you have to do that because it's useful, especially at the beginning when you're confused about frequencies, don't do it with a very narrow peak. Because there's resonance here and basically you're not hearing just that frequency. You're hearing a whole bunch of artifacts that mislead you drastically. And then, don't go too fast because you're probably passing by a lot of masks you don't even know are there. And don't boost too much. If you boost too much again, rippling is gonna happen and then you're gonna create masks and then you're gonna end up with a curve from hell. So, the best thing to do is to stay pretty tame both in the Q and the gain if you have to do peak and cut. And here's an alternative to peak and cut. And you'll see how interesting that is. How about you try starting to remove the stuff that's bothering you and look for the frequency by removing it? It's a lot harder to hear the frequency by cutting it. But it will force your brain to work much harder and you will get there much faster two, three weeks from now if you do this as a system. One of the great advantages of this digital EQs that we get today, sometimes for free sometimes for a fee, is that they have unbelievable flexible Q factors. You can go insanely narrow and do crazy things like that. Is not because you got them that you necessarily have to smoke them. Basically, if you find yourself in situations like this something else is wrong with the system or with your signal. It's time to re-record or move on to a different song. The very narrow Qs like this are not very useful. What's really nice is a medium Q and most designers pick their favorite Qs and if you deal with plug-ins that are made by quality people probably it would be a good place to start. So, I would deal with the Q last. The way I think about it is most of the time, I will cut with peaks. Meaning I will do things like this. And then, I will find my frequency, probably guess my frequency or intuition my frequency and probably narrow the Q to the strict minimum Q possible to get the effect that I want. So, I touch my signal the least. Unless I'm making a special effect. And then "wo-hoo". But in situations of not special effects but regular EQ'ing that's my philosophy. Find a frequency, either by intuition or peaking, do what you gotta do and then reduce the Q so it's least amount of EQ'ing possible without ruining the signal. Without going to super-narrow stuff because then, you get into the other problem when you create other artifacts. So, for the cutting is mostly fairly narrow things the places that bother me if I'm gonna enhance anything I'm gonna tend to use shelves. In this case I would use a high shelf and just boost a part of it. And then sometimes when you boost a shelf, like this, (this is nice and gentle) sometimes you will find a problem here and nothing prevents you from doing a little cut within the shelf. But basically this Find your frequency, narrowing on it and then reduce your Q so it does the least amount possible. If you're gonna enhance something start with a shelf, see if it does it for you, unless you're looking for something special, like a 5k brightness on vocals, for example. Basically is a good idea to enhance with big wide open Qs and to cut with as narrow as possible Qs to remove the least amount of signal. Alright, let's put this in action and listen to some examples. Since I know you didn't believe or didn't wanna believe me early here about the whole hardware versus software thing, because it's no fun, let's do one more example. I have here a stereo SSL EQ and I happen to have the plug-in of it. Let's listen to that first. So, this is a track from the amazing Will Knox Listen to it again. Memorize the sound. Right now it's all digital. Now it's going through the SSL EQ flat. Somebody smart in Oxford England made sure that this is as clean as possible so they got rid of the tubes and as many transformers and everything as possible to be able to make sure that you don't hear this box. That was the goal. Clean. And so, they did it and it's as clean as they could get it. So, we have our good friends at Universal Audio that actually emulated the EQ that came out from the same console that this came out of. So, let's turn the hardware off and listen to software on and off. Normally it should be the same. So all this listening is for you to be sharp on your ears for the next part. Listen to the bass drum. I'll play without it again. Interestingly enough, the SSL they've sampled it's actually leaner sounding that my SSL right here. As a reminder this is my SSL. They're not the same. They can't be. They did not modeled this box, they modeled another SSL console, well an actual console, that was brutalized differently by some other dude. This SSL channel has been brutalized by me and everybody that runs through the studio, which is a lot of people, in a different way for a different amount of time. They cannot sound the same. So, unless you have the SSL that the plug-in manufacturer have sampled it will never be the same. I feel the track needs some opening on top. So, we have about plus four-ish, if I'm aiming. Plus four at 10k. Alright. So I'm gonna by-pass this. Turn this on. The EQ is already in. I'm gonna switch to 10k and notice that already one difference between the plug-in and the hardware is that if you work in stereo it can be a little tedious here. So this is ten-ish and this is plus four-ish. So, I don't know about you but I actually like the plug-in better. The plug-in is more connected. The high-end, the boost and the rest of the material are actually more connected than on the hardware. Listen again. Listen to the vocal and how bright it gets and listen to how that brightness is connected to the rest of the track and the top of the snare and the bottom of the snare and all that stuff. So, it could be that the settings are slightly different. It could be that my box needs a recap, although it got recapped recently but you never know. But in this particular case the software beats the hardware. Now, this is a console emulation plug-in, when you get your DAW you get this. Does it make a difference? In your thinking about building your rig in your EQ strategy, do you need to buy this? Or can you get by with this? Good question, thank you for asking. Let's find out. So, let's look at the settings. and that's about as precise as this interface will let you be. This interface let you be unbelievable precise, especially if you know how to type. Clearly, my SSL settings are brighter. Which means that whatever clicks are set on the SSL I'm more than 4 dBs Getting closer. So, we're more or less in the same amount of brightness. Right? I'll play it again. EQ3, built-in EQ from Pro Tools. Interesting, isn't it? So, you feel more or less the same amount of brightness and it's very hard to match but the tone is a little different, right? you get a little more fizz, a little more A shine on transients on the SSL. And the EQ3 is a little more cool and accurate. Which one do you want? I don't know. When you think about your EQ'ing do you need this? Or do you need this? This is where taste comes in and also workflow comes in and if you learn both, or you try both, long enough you will be able to feel the differences and decide which one is good for you. If you're learning I recommend using the EQ3 for a while because you will be able to associate what you're doing with the visual. If you wanna rock it and just be super intuitive all the time you can use the SSL. Now, let's push this a little further. We have here the meaning of a very accurate digital EQ, that's supposed to boost 4.6 dBs or 5.6dB's at 10k and that's it, with an SSL emulation EQ that's supposed to emulate other parts of the chain that affect the sound. Now, the SSL was designed to be very clean. How about the Helios? That was not designed to be clean or at least they didn't know how to make it clean at the time. This is a fixed 10k band and we're at 4dB's in theory, right? So, let's add 4dB's. This is the raw track. Is that wide? It's even brighter. Let me add a little bit of gain here on the SSL. Now you have a real difference between the two EQs. Because there's a real difference between the topologies. and because the Helios is older and this is modeled after an older EQ and they couldn't get it to be as clean. And so the actual sound of the topology of the EQ has more influence than it has on the SSL. 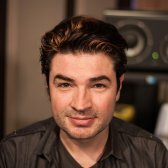 There is a big jump between the SSL and the Helios for the same settings but there isn't that bigger jump between the SSL and the EQ3. So, when you think about building your arsenal and you think about organizing your track and what you're gonna use where, you can use a lot of EQ3 because is neutral and doesn't bring that fuzz that fizz, that aggressivity, for certain tracks. The tracks that maybe you wanna have in the back. And then you could use something like the Helios to bring some shine or something that you wanna bring forward. Even with less EQ it will still move forward because it has that fuzz. That little "je ne sais quoi" on top of the EQ. And that's an important thought because if you listen to a bunch of digital EQs, like for example this guy, which I use on every mix in the history of the universe, and this guy which I'm also using on a phenomenal amount of mixes in the universe, and this guy which a lot of people use, me not really because I've got the other two and I got used to them, but I like it I think is very good. Let's have them all have the exact same setting and listen. and then maybe we can start hearing reality. So, this three EQs are designed to be pure and they are digital. They are not trying to emulate anything. They are not trying to emulate transformers or any path or tubes or anything. Of course the designers will all hear and think of algorithms of EQ'ing in different ways, which will give different sounds. So for example, here is the EQ3 which we know and love. In this particular case I think the Epure, with those settings without tweaking them, sounds a little more open and the Sonnox and the EQ3 sound very similar. Now, does it matter? Probably not because in the course of action you're gonna do 4dB's or 4.2dB's and nobody cares and you're gonna get to where you wanna be in your ears because remember you're not using presets. You're not using presets, right? So, since you're not using presets you're basically gonna stop tweaking when you are happy. So, you have to look at this tools as, are this tools providing me with what I need? Is my strategy based solely on sound? Which in this particular three cases they all sound very similar and they all sound wonderful. Or is it based on features, ergonomics, or whatever you get a discount for this week? It can be a combination of all that. So, it'd be useful to study what this different EQs do and see what your workflow needs. Here we have an A/B comparison So you can actually morph in-between two settings of EQ on the Flux and you could automate that. So you could do some crazy EQ-morphing kind-of-like effects. Also any band can be anything. You can take this band, make it a low cut and you can take this band, make it a high cut. And they don't have to be in the right order You can do whatever you want. You can automate all that stuff. And you have control groups and very extensive presets, although you don't use presets, right? So, the Sonnox. You have a low-pass and high-pass filter I can go down to 36dB's per octave, as you've seen many time if you watch pureMix videos, and that's very useful. You don't have that here. Do you need that? If you do, Sonnox is the one. If not Flux maybe the one. Also, there's a certain way to describe curves here. Do you like that? Don't you? I don't know. You decide. Here, you have a very well laid-out 7 band EQ, that's very good on DSP, that sounds great and you have every feature you can think of, you have the filters and it's free. But you don't have an A/B setting like here. This is awesome to have an A/B. You can have a first EQ and then a second EQ and compare between the two. So, your strategy here is to look at how you work or look at how the person whose mixes you like works and see if the way he'd think is compatible with your thinking and then try their tools. And that's a good first step to come up with an EQ strategy. I know that from experience because at the time this was the best EQ available, because at the time not all digital EQs sounded that good. When the Sonnox came out it was awesome. It totally change the way my workflow went because I was able to feel really good doing anything in the Sonnox and it never sounded bad. Since then, EQ3 came out, the Epure came out and above 700.000 other plug-ins came out. and I'm sure they all sound great. I love the Sonnox because I'm used to it and it goes really quickly and I used to use all the types but now I do everything on Type one. When Epure came out I really enjoyed the way it felt and some of the tones I was able to get with it by doing combination of crazy filters because on the Sonnox the bands are fixed. So, if your looking for something complicated and you're in this band, all the other bands are used, you're stuck. Not a good look. You don't have that problem with the Flux. You do have the same problem with the EQ3. There's other EQs like the FabFilter where you can do whatever you want. As you get better into the intuition-based work you will always gravitate towards one EQ. Until then, I recommend you try a few and use the one that annoys you the least. Now that we understand enough about the history, the ins and outs and we've demystified a little bit of the plug-in versus software and the plug-ins versus plug-ins battles let's do some raw EQ'ing. So I have this track that I love dearly. So, what you want to do? I don't know. What you wanna do? I don't know. What you wanna do? Let's listen to it again. Alright, what's your verdict? Well, you were supposed, while you were listening, to form your opinion. You were supposed to have your mind go: "OK, so I think there's too much of this and this." "And this and this makes me feel this way" "so maybe if I do this and this I'll feel this way." Or maybe your mind should have gone: "Alright, so I've just listened to the new Kesha record and this is clearly a Kesha knock-off and so I want it to make it sound like Kesha and to do so I need to make it ten times brighter and make sure that theres absolutely no bass on it, except at 80Hz." That could be your mind process. The idea here is that before you touch anything (and that's a key strategy), before you touch anything, you have to have to force yourself to imagine what you want. If you start fuzzing with the numbers and start moving things around you're screwed. Because if you're start adding EQ before you form a mental picture of what you want, you will start creating phase differences. You'll start altering the signal in ways that will have repercussions down the road and if you don't need it, don't EQ it. So, do you need EQ here? Do you? I do. I listen to this and I tell myself in a purely analytical way this is a raw track is pure I don't want it to sound processed I wanted to sound transparent, like there's no speakers. I listen to it right now and I tell myself "hmm" There's a little bit of a mask, something too much. Above the bass drum just where the bass is. Check it out. Also I hear, every time the bass drum hits, this kind of cloud, this "mhmm" thing that distracts me from the vocal. It may be a different point of view, which is wonderful but I have the controls so I'm gonna do what I wanna do. I'm gonna low-cut this and this EQ is fixed at 6dB's per octave. So I'm gonna go very low on the high-pass filter. You can hear it "pu-pu-pum". It's a little cleaner. I can actually go a little higher. That feels good, right? Again, "pum-kah". There's not that bumping level on those two kicks Subtle? Yeah. But we are subtle people. Now that we have this "boom-boom" thing taking care of, I think that a little bit of a cut, tiny, maybe a half dB, at a hundred and something Hz, should be nice. And I'm actually gonna make it narrower right here let's see. That's all I've heard on this in the bottom, anyway. So, we are talking about a low cut at 30Hz and a half dB at 110Hz. It takes a lot more cut to satisfy the ear after you've done because your ear is tuned to more drastic changes and now you're starting to make bigger changes. It's like I was at minus something here. Notice that we're starting to be a lot more brutal. Was that much necessary? No. I think that the intuition based thing was better before and so intuition is developed from listening and from mental picture protection as opposed to doing the peak and then cut thing. The peak and cut thing is good when you're lost. But if you have the mental picture before you go, and that takes time, if you have the mental picture before you start touching you get more subtle results and you get better results. I realize it's overwhelming and it can be difficult sometimes to find the frequency. It happens to everybody. Happens to me all the time. Sometimes you get fool by harmonics. You think is at 5k, it's at 2.5k. Or maybe it's at half of that, 1.25, or half of that. You don't know. Sometimes it's so messy. So badly recorded or so fuzzy. That you look, you look, you look and you feel very stupid. Here's a principle that's been working for me for generations after generations. When you listen to something wholly and I would say most recordings you'd get are gonna be a little wholly, are gonna be a little just too much stuff. And I see a lot of people reaching for adding high-end. If it's a little wholly or dark maybe it has too much bass rather than lacks high-end. That's possible, right? So, as you saw with this track, first thing I did is high-passing, tucking a little bit of the bottom. I didn't reach for the high-end. And I got a very clean, very together track with no bumps. And it's almost like it got a little compressed because everything stuck together more. If I had reach for the high-end first and left those bumps in there I'd be stuck and I would have to add more and more EQ to get the track going. So, the first thing you should think of is what can you clean out. What is in the way of you being happy. Then, once you have something that's together, does it lack something. So, first clean and then enhance. It's a good way of stay within the parameters of manageable. Without going into a direction where six month down the line you look at your EQ curve and you have like 10 bands all going in different directions and overlapping. Or you have two or three EQ plug-ins and one has plus 10dB's at 60 Hz and the one after that has minus 10dB's at 60Hz. The system and the universe is sending you a message, don't do that. Let's listen our track again. I'm very curious to hear, now that we're here why would happen if I had a shelf way up high. Outside the hearing range but pretty heavy. Listen to the top of the snare and the "ahhh" on the vocal. I did a lot for you to hear it, now I'm gonna back it up a little bit. I like what it does is like that (makes a sound) thing. So I backed it down from eleven to seven. Seven dBs in the high-end is a lot. Your dog even can't hear 24k. Listen to the verticality (I'm being technical) of the mix. You know how when you listen to music sometime is this tall and sometime is this tall. When we started it was about this tall. And then with the high-pass and a little half dB at 100 it went like this. Because this little nudge here at a hundred-ish and the mask effect of that energy at the bottom, at 30 or a little above 30, actually made it feel restrain and kind of tucked in. The mask effect is when a bunch of frequencies hide other frequencies. Just like a train can hide another train. You've gotta be careful when you cross the tracks. Frequency can hide another frequency or over-shadow another frequency and like this bunch of energy in the middle which prevents you from enjoying that really lean and beautiful thing. And so, if you listen to the track before and after it. and focus on the distance between the low and the high-end. and I realize we're cutting some of the low-end. but it really makes it feel fatter and taller. So, it's a little softer because of the energy we lost from the cut at the bottom. 'Cos a lot of the energy of your signal is at the bottom. Consequently when you EQ you're changing the energy level. You're changing the level. If you're removing a half dB on a broadband you're gonna remove almost a half dB of your whole signal. Since the energy in the high-end is a lot less energy than in the low-end adding all this high-end does not make it feel louder And so, if you wanna really pay attention to before and after it's probably a good idea to use the gain to compensate before and after. I personally use pretty metro-sexual EQ settings so I don't often do it. And also it takes more time and I like to work fast. But for the sake of demonstration let's add a little bit of gain for the EQ'ing signal since we're cutting quite a bit in the low end and listen again. Without. Does this, and that's awesome. And we did that with a half dB here, a high-pass here and plus seven dBs on a super airy shelf. This was my strategy for this track. Heard the bunch on the bass drum bother me, high-passed a little bit, That allowed me to see that there was another problem somewhere in the low-mids. I guessed 100, I was right. Removed the half dB was happy and I was lacking a little bit of the tallness added the top-end. Boom. You will have a different spirit and you will have a different result. But if you think before you touch you can do a lot with very few settings. and if you do a lot with very few settings your signal will stay more together. If your signal stays more together across 64 tracks you get a better mix, period. I often get asked: "do you put your EQ before or after your compressor?" I often answer: "I don't know" You try, send me a postcard. This is our venerable bass drum. This is our venerable compressor. And we shall use an EQ. I know that it's still too fat. I hear a little bit of a mask here. Noticed something interesting? Cutting the mask and high-passing it gets fatter. I'll play it again. Getting rid of the mask is a beautiful thing. But it could use a little bit of a you know "je ne sais quoi" around here. The whole room is shaking. Now let's take this and copy it post. So, this is the EQ before. This is with the EQ after the compressor. What do you hear? What I hear is that is fatter when you put your EQ after. Why would that be? Well that would be because if you push a lot of the level into the compressor it's gonna make the compressor freak out even more. Especially if you push a lot of low-end into the compressor. Check it out. Now, here are a few important points. Number one: a lot of the reasons that started this whole debate "before and after compressor-EQ", which comes first the chicken or the egg, are gone. Because if you have a digital compressor like Sonnox compressor, or the FabFilter, or the built-in compressors of Logic, or whatever, they don't really have a tone. They don't make things brighter or darker They don't high-pass because of transformer relation. They don't do any of that. And so, because a lot of people used to have to EQ to compensate for a really dark compressor or make something fatter because the 1176 kind of rolled off the bottom sometimes. So that's not really the consideration you should go for unless you're using emulations that are incredible accurate and do that stuff. But overall you're pretty safe. Here's a simpler way to think about it. If you have to clean the signal do it before compression. Subtractive EQ like high-pass and cuts, do that before compression, so that you can remove the problem and not compress it and make it louder. If you need to enhance a signal. Add a lot of bottom on an 808 bass drum. You wanna go "boom". Well do that after, so that the compressor doesn't fight against it. That is a good way to think about it until you fly with your own wings. Then you'll have your intuition that let's you decide that. I'm totally wrong and that's not the way it's done. The consequence of the previous principle is that you may wanna try a two EQ setting. One before and one after the compressor. Let me show you what that does 'cos that's pretty neat. Here's another track and I'm gonna take my EQ. So, they're the same. And I'm gonna copy that here. and here. Make everybody active. On this second track I'm not gonna boost here and I'm not gonna cut and I'm not gonna do this. So, here we have one EQ before same EQ after, the example we've just heard. And here on this track, which is an exact copy, we have and EQ that just does the clean-up before the compressor and an EQ that does my boost after the compressor. Which sounds best? Good question. So, this is where we were and clearly we really dug the after thing, right? That was pretty nice. So, it sounds like this. And this is the other track with the split. The split example is fatter and more together. I'll play it again. Check it out. Isn't that amazing? And if you want to compare with the before compression example. So, this is before compression example versus split EQ. Isn't that wonderful? This was a lot of information to inside you. To go back to the EQ folder of your DAW and look at all those beautiful plug-ins you have and start looking at them with a new motto in mind. What kind you do for me? As opposed to "Oh, you're pretty. I like your dress." Now, a last word of wisdom: If you find yourself working on a track for a while and your EQ settings look a little bit like this my recommendation is you take a break. Start over in a little while. Two phrases I just added to my approach: "You're pretty. I like your dress." "Metro-sexual EQ." :^) Thanks, Fab! I'm enjoying your tutorials. Very nice video, comparing different EQ’s and general vibe.. but I don’t quite see the logic in comparing a plugin model of a 4000E Brown Knob to a 4000G Black Knob hardware? Also, a 10k hi-shelf on any SSL starts its rise way below the 5k point apparent on the Avid EQ3 at that same setting, so that’s just very different and not even a comparison. Try setting the EQ3 at around 5-7k and adjust the Q a bit as to not make the shelf have such a quick rise. That will make it sound a lot closer to any SSL EQ plug-in ITB. Increíble Fab, excelente información y manera de explicar, aplaudo de pie la excelente clase. Hey Fab. You´re such an sympathetic & funny teacher. Eaven boring stuff would be interesting with you. Thanks for this lesson & the whole puremix side. This was amazing lesson with a fantastic teacher. Pure gold! great ears, great teaching. thank u! Wow - what a lot of great knowledge you shared! Thank you. A bit of feedback: I suggest that you consider broadening your perception of your audience. Referring to studio folks as 'guys' or 'dudes'; choosing the term 'emasculating' to describe taking a great characteristic out of a sound; assigning gender to plug-ins with 'pretty dresses' that we should not be distracted by and instead demand from them 'What can you do for me?' - is unsettling and distracting - rather like a neglected frequency in an otherwise elegant mix. Thank you for listening. Another excellent lesson by Fab. Quite overwhelming, I have to say! A lot of the examples are definitely not night-and-day to my ears, and I wonder if I can make music without such levels of sophistication (sure I can!). I do think Fab is one of the 'least' broad stroke-mixers here. Anyway, very impressive stuff. Thanks. I looked at quite a few tutorials of Fab, I still can't put less than five stars, this one is no exception to the rule. I would have rated 5 +. Awesome !!! I am amazed at the amount of knowledge in these tutorials, vast amounts and I never walk away feeling I haven't learned something valuable. Very great teacher !!! Thanks a lot ! wow - great teacher! Thanks! :) Great website also :) Im in UK and this site is really great resource - best I've come across! @Slowlearner: Don't despair, it takes time. The problem may be your monitoring, the problem may be your monitoring level or your room. No natter what, it's important to not get discouraged. If your intuition is off-track then use your mental presence to check your moves until you reprogram your intuition. For example, if you see yourself cutting or boosting enormous amounts with your eq, be aware that you may be going in the wrong direction and reign in the madness. Check the results elsewhere and adjust to taste. Over time, you'll get it. Great video Fabrice, thank you! I have a question. I have been mixing for years and EQ is still the only process that messes me up. I already followed what you say 100% but I often end up with scooped mixes, frequency holes around the low mids. How do you tell what frequencies should be cut and what should be pushed? It sounds like I'm cutting bad frequencies but on a mix of 50 tracks the wrong subtraction leaves my mix unbalanced. Any thoughts? Thank you everyone! Great work. Could you make a similar one dealing with compressors? Amazing! !Nothing like a clear and concise explanation from Fab Dupont. Not only is he a master at mixing, but also a great teacher/mentor. Great Tutorial!! !...Please do a similar one on compression too.....and maybe reverbs and delays aswell...i dont ask for too much do I !!! In parallel with full mixes videos, I really like that kind of tuto dedicated to specific subject, which mixes history, philosophic vision, and practical tips. We leave it with a new and fresh approach, getting things as they look (and sound) easier to tame. Best EQ tutorial on the web. Great lesson Fab! So clear. So pragmatic. So good. Thx! So glad I signed up for this site! Fab makes sense of very complex subjects with ease! Great video for sure. Loved this one. Is the Will Knox track deliberately mono? Probably the best tutorial on EQ I've ever seen. Thanks Fab. I may be wrong in [practice and theory], but in particular, when I need to add a hpf , in some instances, I'm using the sub band of a linear eq to create a bell shape narrow cut , which (to me)means I am not having to go and make adjustments to the low band so much and I am getting my very bottom tidied up, albiet at the cost of everything below the narrow bell cut, which I don't know if that's a good thing or a bad thing..it sounds good to me but this is where I sometimes question what I'm hearing. I try and look at eq as rationed with little to spare..
Great Tutorial, thanks. That arpeggiated, delayed guitar part on the Will Knox track is absolutely fantastic. Thanks,Fab.You are really a good teacher!! Wonderful stuff! Thank you Fab! Your Pultec has a lot more oomph than the plugin that is what I heard. This is very very informative. Big thanks Fab. wow !!! thanks teacher !! !